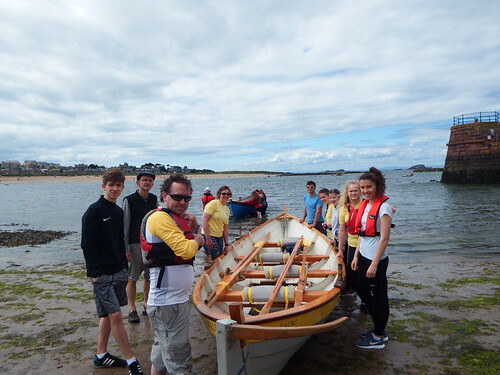 On Sunday we held our first ever Junior Rowing Regatta at North Berwick, the idea was planted about 9 months ago by Robbie, and evolved from an attempt to copy the format we normally use on full regattas, to realising that a looser, more relaxed day might be called for. A large squad of 11 juniors come down from Deveron accompanied by the wonderfully garrulous Roisin and Shawnee. The energy of the kids belied their 5 hour drive down from the Moray coast. 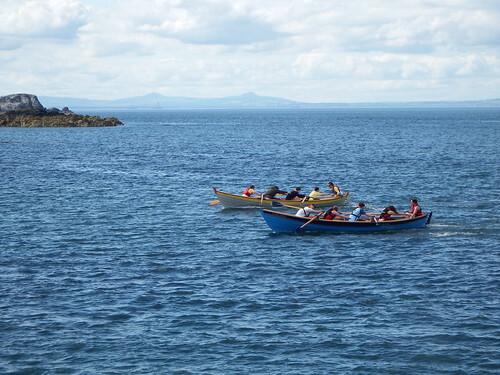 Gareth, Stuart and Dave (surely by now in demand as a wild Scottish hipster in some Tartan Noir series) towed over Boatie Blest from nearby Port Seton and provided their expert services in coxing the Deveron crews around our races. Firth of Clyde brought Robbie (Full of power, look out men’s open in a year or two), David and Kate over from Largs.